December 12, 2014  Fannie Mae and Freddie Mac will begin allowing first-time homebuyers to put down as little as 3 percent. But critics say the move is risky and could create another housing crisis. August 8, 2013  The giant mortgage finance company's strong showing was driven by a rise in U.S. housing prices. 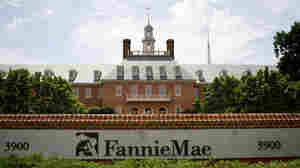 Fannie's profit is nearly double what it was in the year-ago quarter. 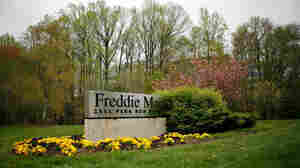 August 7, 2013  Mortgage backer Freddie Mac says it has extended its streak of profitable quarters to seven in a row. The $5 billion in earnings is the second-highest in its history, the company said in its quarterly report Wednesday. July 31, 2012  A federal regulator is blocking the government-owned mortgage giants Fannie Mae and Freddie Mac from reducing the principal that homeowners owe on their mortgages in order to avoid foreclosures. February 3, 2012  Nothing immoral went on, Edward DeMarco says. The agency's multibillion-dollar bets against homeowners being able to refinance were "ordinary business transactions." 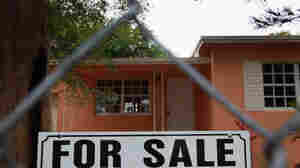 February 1, 2012  Two senators who have taken the lead on legislation aimed to help homeowners refinance are blunt about how concerned they are by the news NPR reported about Freddie Mac's "multibillion-dollar bets against American homeowners being able to refinance." 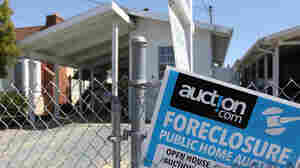 January 30, 2012  Lawmakers and prominent economists on Monday called for changes at the taxpayer-owned mortgage company after NPR, in partnership with ProPublica, revealed that Freddie Mac has placed multibillion-dollar bets against American homeowners. January 30, 2012  In the first hour of Talk of the Nation, the ongoing crisis in Syria, and Freddie Mac bets against homeowners. In the second hour, paying for online news, and on the Opinion Page, Israeli journalist Ronen Bergman predicts Israel's attack on Iran. January 23, 2012  Just as Republican contenders gather for another debate, the former House speaker releases some information about his work for the mortgage giant. And there's word of another big contribution to a pro-Gingrich superPAC. January 23, 2012  Newt Gingrich is under attack by his rival GOP presidential candidate Mitt Romney for his consulting role at mortgage firm Freddie Mac. 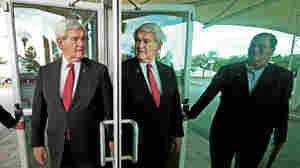 Romney, campaigning in Florida, is calling on the former House speaker to release his contract with Freddie Mac. November 16, 2011  In about a week, we've gone from Newt Gingrich saying during a debate that he was paid $300,000 to tell Freddie Mac "as a historian" to his firm being paid nearly $2 million by the mortgage-financing giant as a former House speaker to provide strategic advice. There's no telling what added details another week might bring. If you can get a mortgage, the rates are lower than ever. October 6, 2011  But though rates are at new lows, many who would like to take advantage of them can't because of too little equity or tight lending standards. 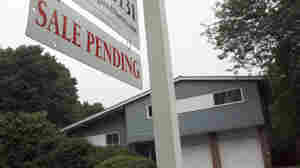 When Mortgage Borrowers Don't Pay, Should Taxpayers Be On The Hook? 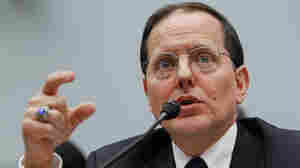 May 12, 2011  A new bill would create private companies to replace Fannie Mae and Freddie Mac. But the government would continue to guarantee mortgages.